Julian Falat’s Museum (Fałatówka) is a part of the Historical Museum in Bielsko-Biała. It is located in a villa with a garden where Julian Falat lived and painted for nearly twenty years. 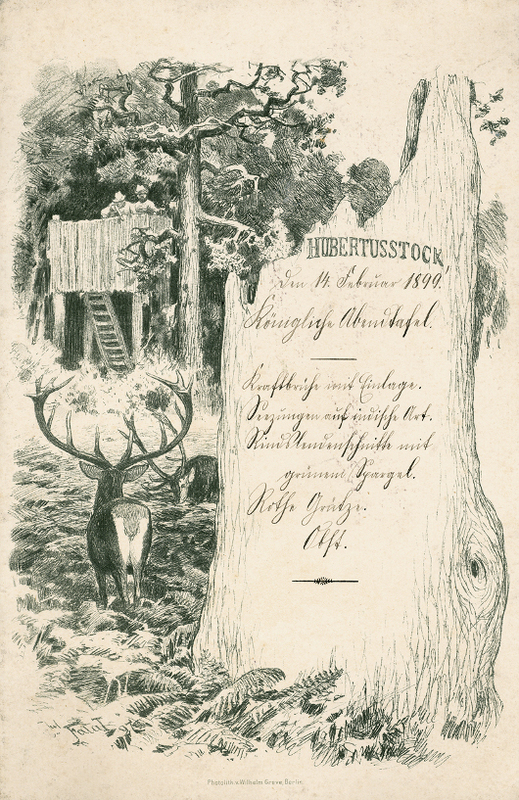 The artist bought that house in 1909 and two years later he built a larch workshop there (it burnt down in 1935). 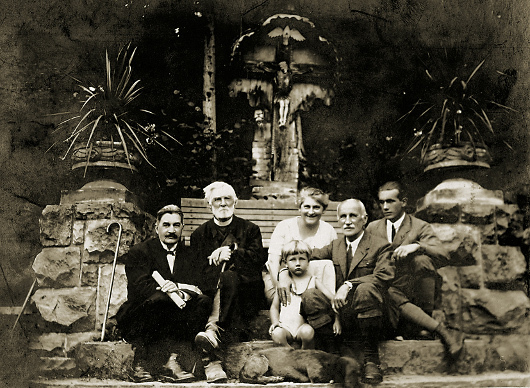 After the painter’s death, the plot and the house were handed down to his children: his daughter, Helena Niemczewska, and his son, Kazimierz Falat. 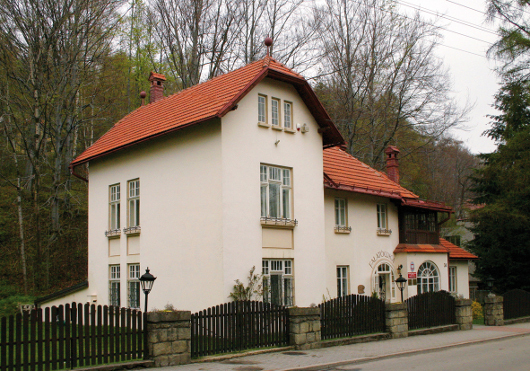 The latter was taking care of the villa until 1943, renting rooms to holidaymakers or the Society of Friends of Bystra in the Silesian Beskids (after the war Kazimierz – a soldier in the German army, taken captive in Italy – settled in Great Britain). In 1947 the real estate was taken over by the State Treasury as the former German property. It was devoted to: the House of Creative Work and flats for the use of inhabitants of the village. 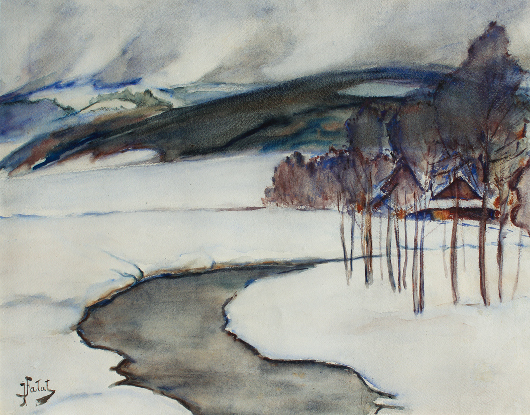 The idea to establish there a biographic and artistic museum of the prominent watercolourist appeared first in May 1945, but due to various circumstances that did not happen until August 1973 when the Artistic and Historical Museum of Julian Falat in Bystra, constituting part of the National Museum in Bielsko-Biała, was finally opened to the public. 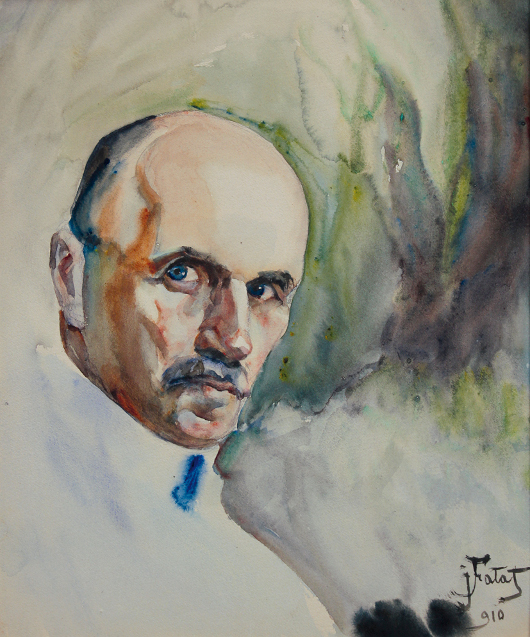 Since the second half of the 1940s the Museum of Bielsko would try to secure the artist’s extant legacy in the villa, collect his works and various types of archival material, and organize lectures and exhibitions aimed at promoting his work both in Bielsko-Biała and other Polish cities. 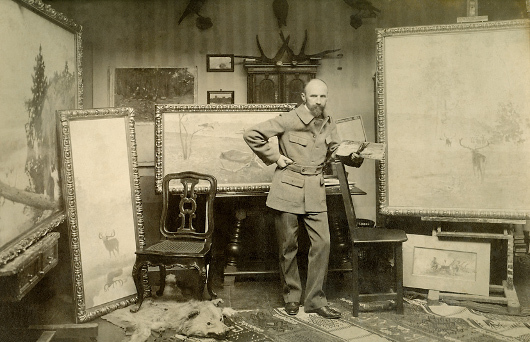 The first permanent exhibition included the artist’s works made using watercolours and oil paints, archives and furniture, painting tools and other memorabilia left after Julian Falat. 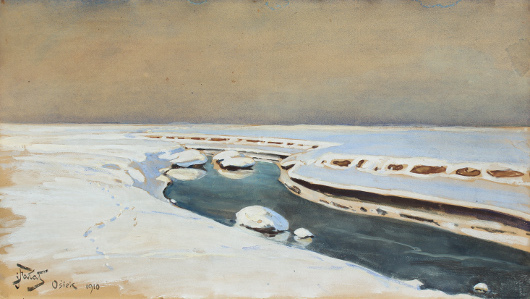 During the last decades the exhibition rooms of the museum underwent a few modernizations (the last ones in 2013 and 2015), while the exhibition itself was constantly expanded to include Julian Falat’s subsequent works, other artists’ compositions coming from the painter’s own collection and gradually wider archival material involving various types of memorabilia, documents, photographs, correspondence to and from the artists, diplomas, personal belongings and equipment forming part of the interior design of the house when it was still lived in by Falat. 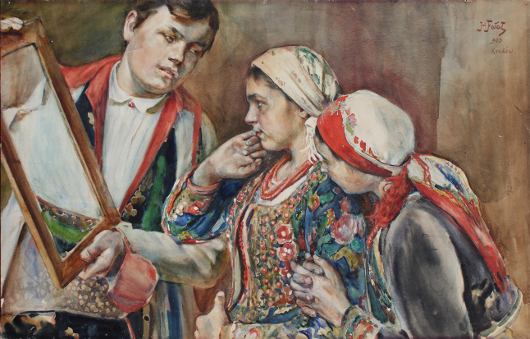 Nowadays, the Historical Museum in Bielsko-Biała – Fałatówka in Bystra present works by the master of watercolour painting, made using various techniques, exhibits coming from his own collections as well as archives. 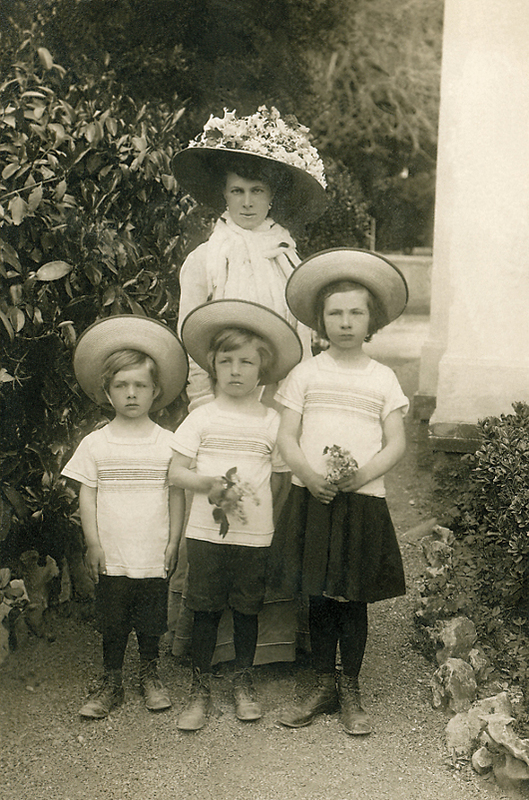 Bielsko museum workers are intensifying their efforts to contribute to further development of that place.